Drive to the South of the Island and see the town of Fuencaliente. 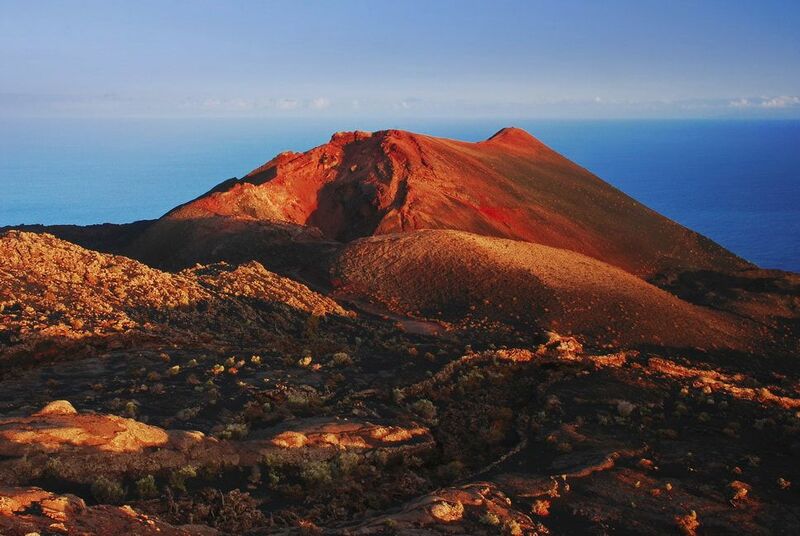 Admire the important volcanoes of Teneguía and San Antonio, considered natural monuments and La Palma Salt Flats, declared Sites of Scientific Interest and one of the most visited places on the island. Finally, have a Wine Cellar Tour with taste of wines and "tapas" in a typical winery. Your full day tour around the island begins with a drive through the city of Santa Cruz along the Maritime Avenue, stopping at the Mirador de la Cumbrecita, which offers stunning views of the Caldera de Taburiente. This crater, with a 5 miles diameter, is a impressive example of the natural beauty of the Canary Islands. Waterfalls, ravines, jagged peaks, and varied wildlife are all part of the landscape of the caldera. Continue to the famous beaches of Playa de Tazacorte and Playa del Puerto Naos, on the West coast of the Island, where you have some time on your own for strolling, shopping, go swimming and have lunch. Next, drive to the salt flats in Fuencaliente, that are natural areas in which the ground is covered with salt and other minerals. These flats are formed naturally over thousands of years. The contrast between the white of the salt, the black of the volcanic earth and the blue of the sea form an image of spectacular beauty that make the salt flats one of the top attraction in La Palma. Continue for a picture stop to the East coast of the island until the fishing village of Los Cancajos. 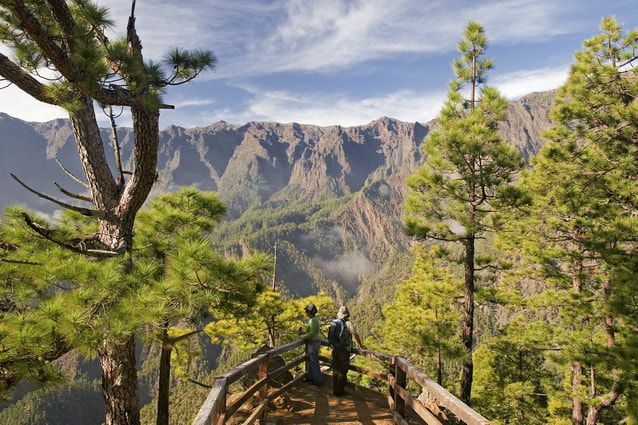 Arrive at La Concepción Viewing Point, which offers spectacular views over Santa Cruz de La Palma, where you may have some free time before heading back to your ship.